Car salesman, Jerry Lundegaard (William H Macy), is in deep financial trouble. However, he has a plan. He decides to hire two men to kidnap his own wife in the belief that his wealthy father-in-law Wade Gustafson (Harve Presnell) will pay the ransom. Jerry will then use this money to pay off his kidnappers and settle his debts. Can you believe that it has been 20 years since Fargo was released? It hardly seems possible. And yet it is true - last month marked 20 years since the Coen brothers told this brutal true story of greed, betrayal and murder. I remember so well the world’s media being absolutely obsessed by the fact that Fargo was based on actual events. How did we know that it was true? Well because the Coen brothers told us so at the beginning of the film of course! Can you think of a more intriguing start to a movie? During the promotion of the Fargo, Joel Coen told Premiere magazine that “we wanted to try something based on a real story” and that the script was “pretty close” to what actually happened. Of course, later on, we realised that the Coens had tricked us all and that Fargo was actually fiction. Ethan Coen explained that they wanted to make a film based around the true story genre. However, recently, Joel Coen told HuffPost that “there are actually two little elements in the story that were based on actual incidents. One of them is the fact that there was a guy, I believe in the '60s or '70s, who was gumming up serial numbers for cars and defrauding the General Motors Finance Corporation. There was no kidnapping. There was no murder. It was a guy defrauding the GM Finance Corporation at some point." 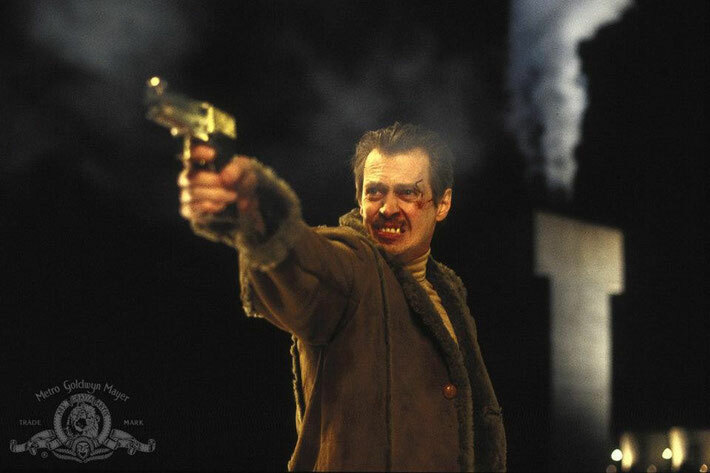 For me, Fargo is a perfect movie and it is as awesome now as it was when it was released. For a start, the story is pure genius - far fetched and shocking while somehow also feeling plausible and real. 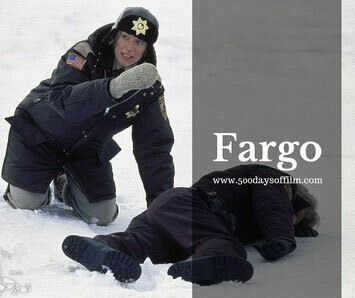 Fargo’s script won the Coen brothers an Oscar for Best Original Screenplay. And as I rewatched this film, I could understand why. Every scene is wonderfully constructed - funny, brutal and perfectly phrased to feel authentic to the region. I hadn’t even heard of Fargo before this film and, by all accounts, the film was a real boon for the town - putting it right on the tourist map. However, according to a Buzzfeed report Fargo’s Mayor, Dennis Walaker, hated the movie and thought that the accent was “extremely exaggerated”. 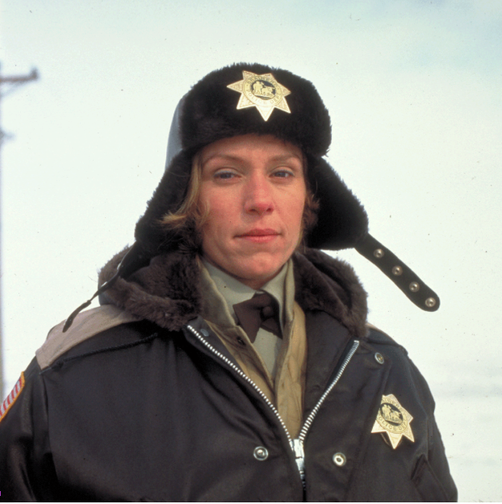 At the heart of Fargo is Marge Gunderson. Frances McDormand is superb in this role and she won an Oscar for her performance. Richard Jenkins was initially considered for the part of Jerry Lundegaard. However, William H Macy begged the Coen brothers for the role. And he is, of course utterly brilliant - I can’t imagine anyone else being Jerry. The same can also be said for the part of Carl Showalter, which was written specifically for Steve Buscemi. Alongside McDormand and Macy, Buscemi is wonderful in this role. While both actors seem to be improvising in many scenes, all of their lines were scripted down to the last stutter. Whenever I think of Fargo, I always think of Marge. I am just so fond of this character. Then I rewatch the film and remember just how dark and brutal this film is and how no one involved in the kidnapping of Jean Lundegaard (Kristin Rudrüd) walks away unscathed. However, once again, Marge (and her loving husband Norm) saves the day and reminds us what is really important in life. The late and great film critic, Roger Ebert, wrote in his review that “Films like Fargo are why I love the movies” and, 20 years on, I still wholeheartedly agree. Have you seen Fargo? Please tell me that you have! If you haven’t, go see it stat! If you have seen it, what do you think of this movie?